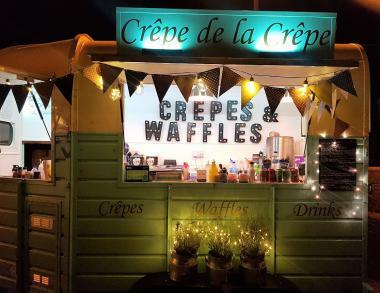 Our vintage horse box has been fully converted into a mobile crêperie selling freshly cooked French crepes and large Belgian waffles, using traditional techniques and ingredients. 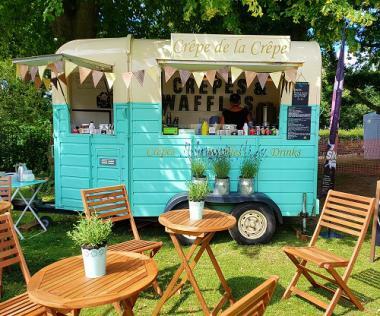 Crêpe de la Crêpe is a family run business, managed by enthusiastic chefs whose mission is to make your event a huge success. 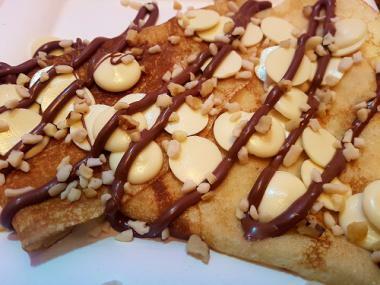 We delight our customers with outstanding treats with a wide selection of toppings to suit all tastes. All plates, napkins and cutlery is provied along with power. We have been awarded a 5 star Food Hygiene Certificate and hold full liability insurance.